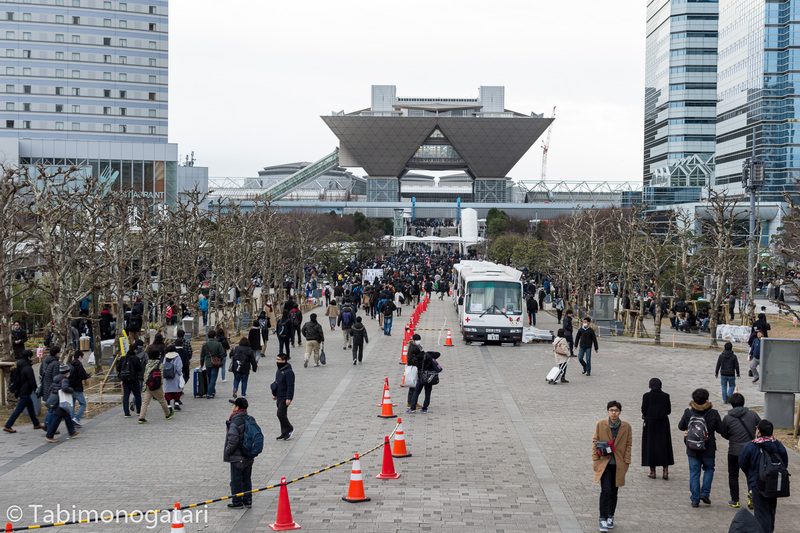 The last day of the year I visited the Comiket again and did more shopping in the evening. Finally, we welcomed the new year at midnight in Shibuya. Today I waked up at 5:30 – definitely that was definitely too early. 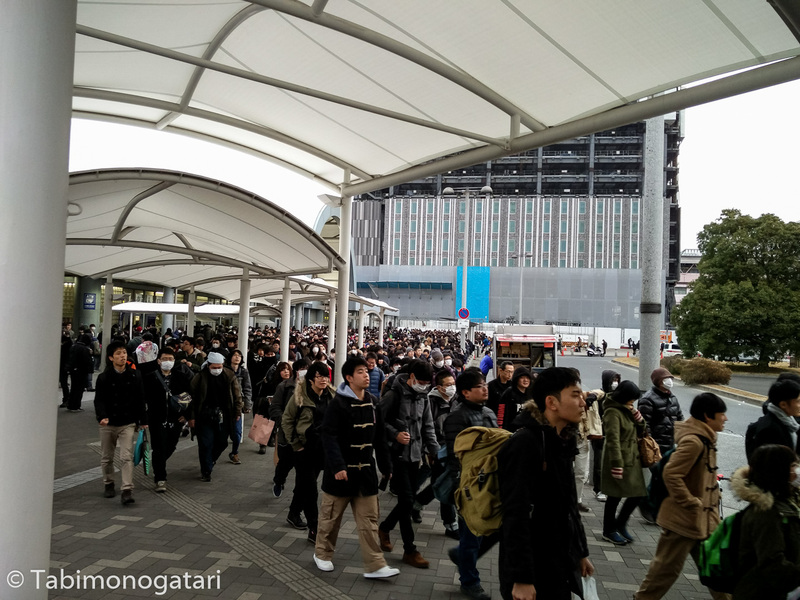 There was no other option though as I planned to meet up with a friend to go to Comiket Day 3 early on. 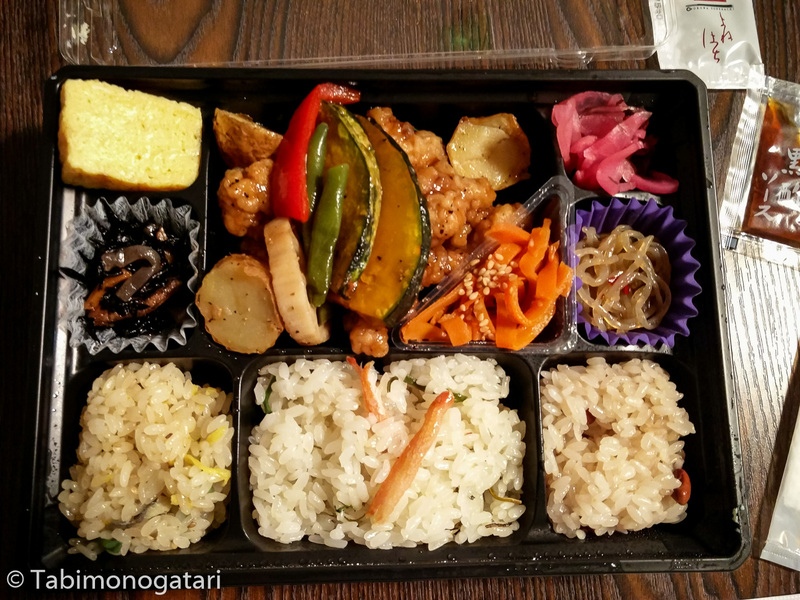 Luckily I picked up a reduced eki-bento yesterday evening for a quick breakfast. The final day of Comiket was intense, exhausting and extremely fun at the same time. I want to write a separate article about the event from my perspective at some point, because I cannot go into much detail today. The third and final day is the most popular and it’s main theme is, well, 18+ stuff. Today I arrived at Kokusai Tenjijo station around 7:30. I braced myself for three hours of queuing just to get in but thanks to a good friend I was able to enter the halls long before the official opening at 10 o’clock. I made use of the extra two hours to explore the hall layout and note the locations of my target circle booths. Even that early people started to line up for the high-profile circles. At 9 I joined one of the queues leading outside again. It turns out the lines of the most popular circles form outside and the goods are sold at the enormous gates, therefore the name “shutter”. Besides, the most popular circles tend to be at the outer ring, enclosing all other booths. This guide I found while researching for this article explains many aspects of the event, including the hall layout. If you are interested into visiting the event by now, you can check it out. To be honest, I spent most of the morning outside the halls queuing. At 12 I completed all six circles I wanted to visit. From there on I strolled around randomly and explored the smaller booths. 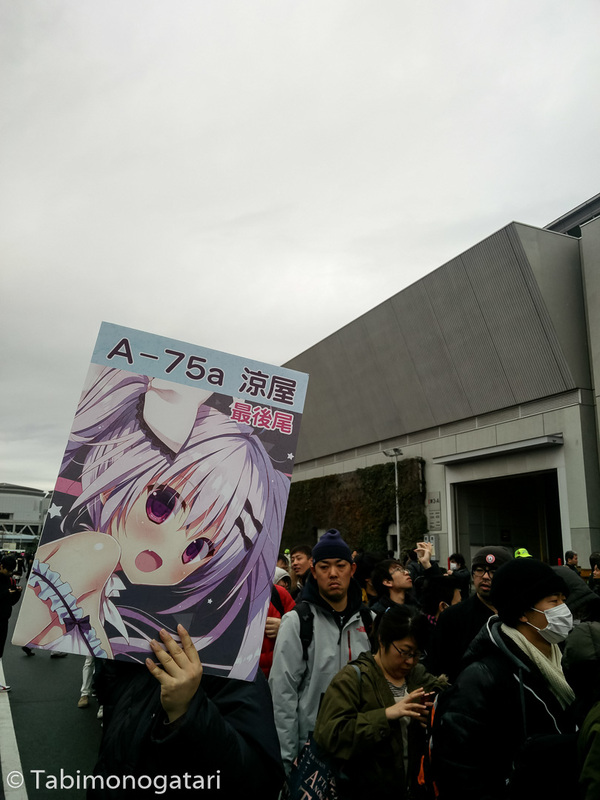 To me, attending Comiket gave a very different angle from what I heard about it from the outside. Even though the place is just overcrowded, everyone is moving in an organized fashion thanks to the countless volunteers. At every queue there was somebody holding up a sign indicating the end. Since queues need to be split to allow passage of people, signs stating that this is not the end of the line exist as well. The short night and the long queues took a toll on me, so I left the venue around 1 pm. 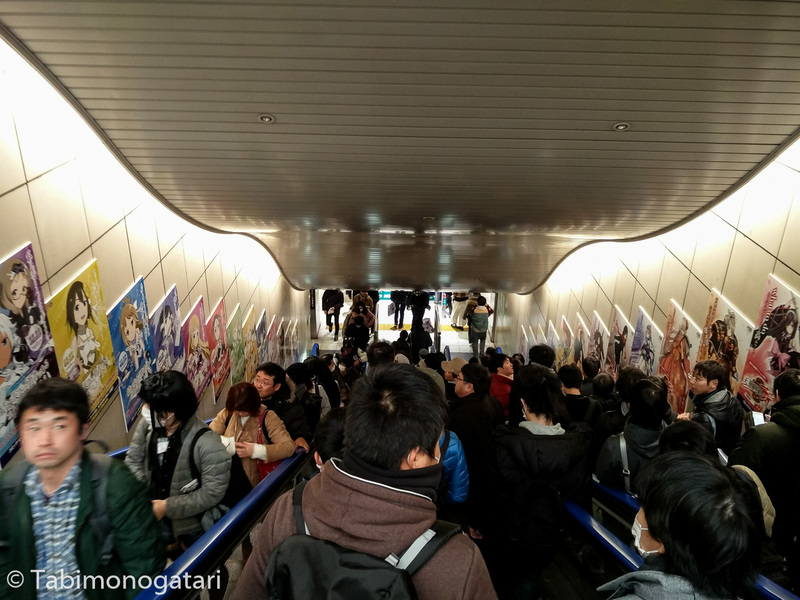 This time the way to the station was much more crowded, much earlier than I expected. Still, slowly the masses moved to the platform and I managed to board the next train that arrived. Finally back at the apartment I napped for an hour which improved my fatigue a bit. Then, I headed out for another shopping trip, this time to the adjacent district Shinjuku. 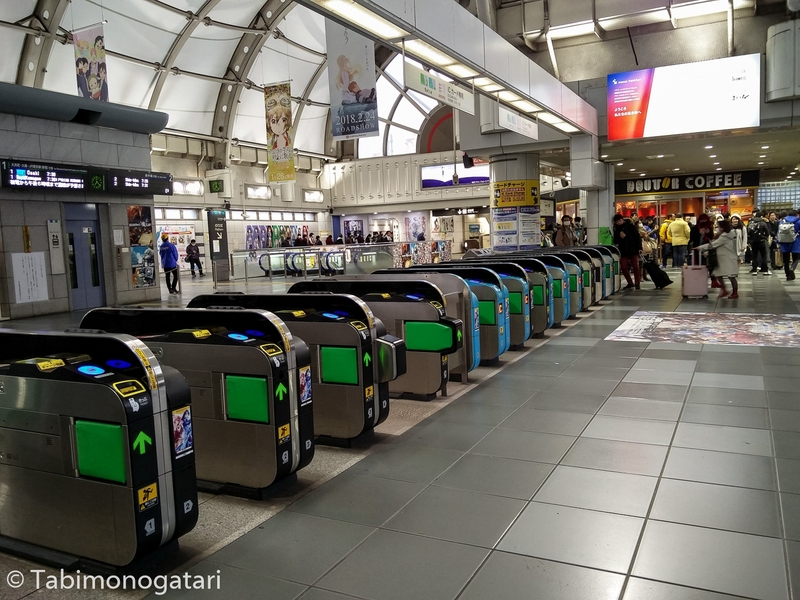 While I would not attempt to walk by foot, the train brings you to Shinjuku station in just seven minutes from Shibuya. The station is the most frequented station of the world and is equally large in dimension. Knowing the right exit location is crucial when arriving at this station. With some help of Google Maps I found “Bicqlo”, coming from the Central East exit. The name of this shopping complex stands for the two companies Bic Camera and Uniqlo which sell electronics and clothing, respectively and share the building. Since I like Uniqlo’s simple but functional clothing style and their Heattech line I bought ten different items. Thanks to the tax-free program tourists save 8 % automatically on all purchases over 50’000 yen, so I did not break the bank. At Bic Camera I could finally pick up the data SIM I was looking for. Until this trip I went with a portable WiFi router to stay connected, but this time I felt like trying something different this time. New Year is celebrated in a different way than many of us know from home. Here there are no fireworks and taking away the Shibuya Countdown event, there are no major celebrations either. 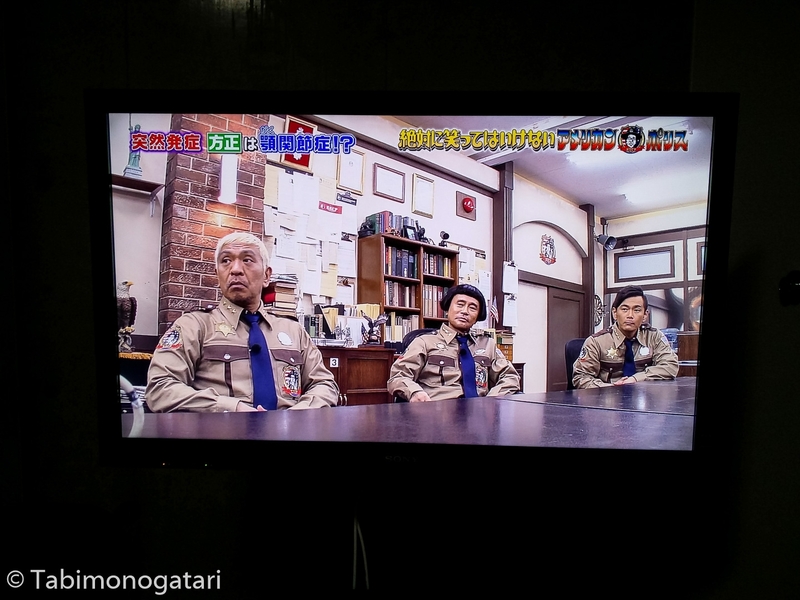 Instead, people spend their time with their families and watch one (or both) of the two popular New Year’s shows — NHK Kouhaku Uta Gassen and the Gaki no Tsukai Batsu Game. After a quick Gyudon dinner at Sukiya I also turned on the TV and switched between both shows while packing and writing. The NHK program is a song battle between the Red and the White team consisting of popular bands and singers of the current year. The other program is a slapstick comedy show featuring five famous comedians. This year’s theme was American Police. Both shows are iconic and I watched both of them in previous years. My highlight of the evening was Perfume’s live performance on top of a skyscraper in Shibuya which was a big surprise, to everyone I think. Being a mere kilometer away from them made me very happy as a true fan of the band. Many other famous bands had their moment to shine, including AKB48, X Japan and Hoshino Gen.
At midnight the Shibuya crossing was filled with people, mostly foreigners, who celebrated the new year in the Western way. Fireworks were not allowed though, but people had fun nonetheless. I did not stay long after since the next day will be busy again. 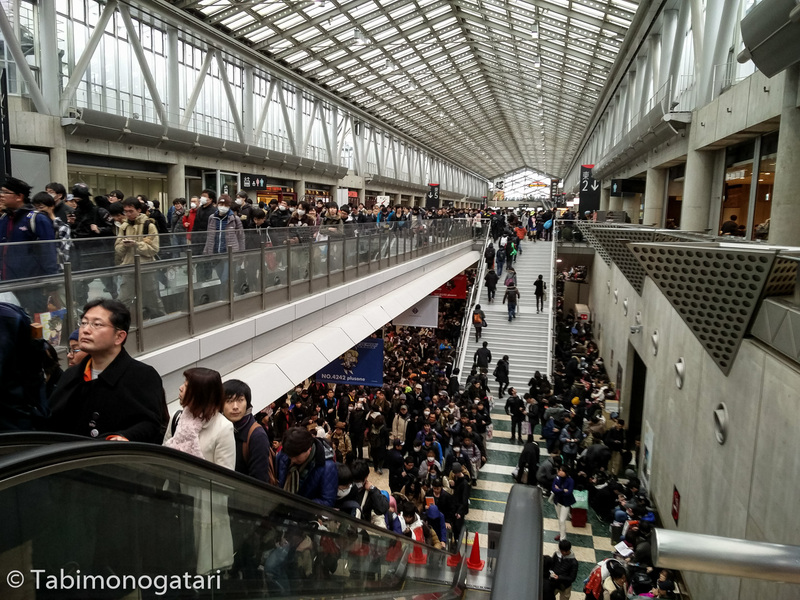 The crowds there were the opposite to the crowds at Comiket — pushing and shouting all the time. Happy New Year! I hope you had a good start into it.